Soul and experimental sister duo who rose to fame on Beyonce’s Lemonade will present an empowering and eclectic show for fans. Dynamic musical duo consisting of twin sisters Lisa-Kaindé Diaz and Naomi Diaz will perform in Singapore for the first time on 20 April 2019. Known for their soulful mix of Afro-Cuban, R&B and jazz, fans can expect an energetic and instrumental-heavy show to keep audiences enthralled from start to end. This will be the first of a series of specially curated shows by boutique music ensemble, Figure8 Agency, in 2019, with the support of the Embassy of France in Singapore. 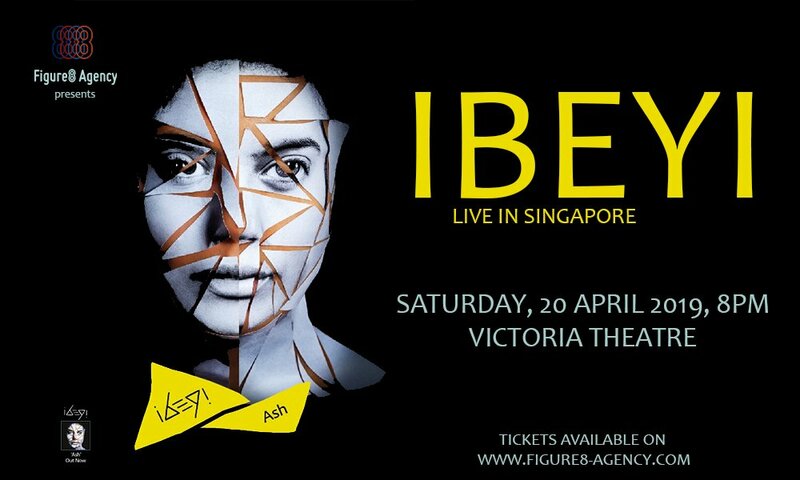 Since releasing their first eponymous self-titled album in 2015, Ibeyi have since signed with Independent British label XL Recordings who represent JUNGLE, Thom Yorke, Jack White and more. In 2017, they opened a historic Chanel Cruise Fashion Show in La Habana, Cuba, doing so with their now signature Yoruba chant, an ode to their Cuban heritage. The album earned them fans and collaborators in some of the most iconic artists of our time, including Beyoncé and Alvin Ailey, which ultimately led to their notable performances on Beyonce’s short film Lemonade. Ever since then, the sisters have gained International acclaim beyond the French rêverie – now making their way to sunny Singapore. Their second album, Ash, released in September 2017, presents a more visceral and potent political statement that pays homage to the Afro-Cuban culture and history, while running parallels with the modern political turmoil we live in. “We can do positive things with ashes,” Naomi says. “Ashes can fertilize,” Lisa-Kaindé adds. “There’s still hope.” Along with XL Recording Head Richard Russell’s stylized production sensibilities, Ibeyi drew from a host of influences ranging from Kendrick Lamar, Jay Electronica, Meshell Ndegeocello, Erykah Badu and Nina Simone and beyond, to craft the wide-ranging musical landscape of Ash. The sisters have never shied away from writing lyrics that reflect the depth of their shared history, and include songs written in English, French and Yoruban. “I feel like the most important thing you can do is transmit to people your truth and your energy and what you feel and how you feel when you’re a musician.” Lisa-Kaindé explains. Born to a percussionist father from Buena Vista Social Club and a music publicist mother, the sisters grew up in a colourful musical world, with varied worldly influences. Today, the twins aim to create new genres that uniquely blend their individual taste in music (Naomi – hip hop, raga and dance hall; Lisa – diva soul) and bring music appreciation to newer heights.